To earn the trust of your meditation, you have to visit it every day. It's like having a puppy. Meditation is a simple and easy way to control daily stress. It allows you to take control of your anxiety. It is a practice that can even reshape your mind, allowing you to tap into your creativity and focus centers with greater ease. The only problem is this: when you first start trying to meditate, it never really feels like it is simple or easy. If you can turn meditation into a daily habit and stick to it, then it is a process which can help you stay in control. You can manage stress. You can stop worrying about everything. These practical tips will help you add meditation to your regular routine. #1. Be realistic about how much time you meditate. For meditation to reach it's full potential, it is often recommended that you meditate for at least 20 minutes every day. In reality, any time that you can spend in meditation is better than no time at all. If you're struggling to make it to the 20-minute mark, then consider meditating for just 5-10 minutes instead. The effects of meditation are cumulative, so if you can meditate for 5 minutes during four different breaks during your day, then you'll still make it to the recommended daily meditation time. Maybe one day you can meditate for 20 minutes in total. On another day, maybe you can only fit in 10 minutes. As long as you can meditate at least once each day, you'll begin to turn meditation into a daily habit. #2. Try to meditate in the morning whenever possible. There are two ways to approach meditation. You can either be proactive or reactive. Reactive meditation occurs after you've experienced a stressful situation or some form of anxiety. It can be an effective coping skill for difficult situations, but also requires your mind to deal with that stress or anxiety first before meditating. This is why proactive meditation is often recommended. Meditation helps to tame the brain's emotional response to difficult situations. When you encounter something that is stressful or worrisome, it creates a “barrier” which allows you to be more resilient. This is why morning meditation is often recommended. If you can fit in time to meditate as you get ready for work, then you'll be better equipped to deal with the challenges a day can bring your way. You don't even need to get out of bed to meditate. Just start meditating right away after you wake up for whatever time you have, then get your day started from there. Art of Living calls morning meditation “The Best Part of Waking Up” and offers a number of helpful tips to encourage its practice. So be proactive with your meditation. Add reactive meditation to your daily routine for those moments when you may feel overwhelmed. This effort will help to make it easier to establish a habit of daily meditation. We often think of meditation as sitting in a comfortable and quiet room, seated in the lotus position. Maybe that happens in a perfect world. In reality, meditation can happen almost anywhere and in almost any circumstances. You can meditate while taking a walk around your neighborhood. You can meditate while taking a shower. You can even take 5 minutes to meditate in the bathroom at work if you want. The Huffington Post offers 11 surprising places to find some zen that could help you to turn meditation into a daily habit. Meditation is free. You can meditate anywhere – though meditating while driving might not be the best of ideas. This means you are in control of this habit. As long as you can find a sense of stillness, even if the rest of the world is not being silent, then the benefits of meditation can begin to come your way. #4. Keep track of your successes. Meditation works when you approach it like staying sober with Alcoholics Anonymous (AA). AA helps people who struggle with alcohol addiction stay sober because staying sober becomes a new habit that is established. Each day is taken on its own merit. Each day is also counted as a success. As part of some 12-step programs, chips are provided as a token for success in staying sober for 1 day, 30 days, 60 days, and so forth. Keeping track of your successes with meditation in a similar way helps to establish a routine that you can make stick. Programs like Headspace offer you online badges to help you mark the amount of progress that you've achieved. You can also keep track of your successes on your own. Treat yourself to a dinner at your favorite restaurant when you make it to 7 straight days of meditation. Give yourself a weekend away at 30 days. Set other rewards for additional milestones. By looking forward to a reward, it becomes easier to establish a successful routine. #5. Don't force yourself to meditate. Maybe you wake up one morning and your head is just pounding due to a migraine headache. Or you wake up late and only have 10 minutes to make it to work. There will be times when it feels like you're forcing yourself to meditate. Instead of grinding your teeth and meditating anyway, consider scaling back your meditation routine for that day. Instead of meditating 20 minutes in the morning, you could take 15 minutes out of your lunch break to meditate. Or you could park somewhere on the way home to meditate in your car for 10 minutes. One of the most common reasons why people give up their meditation routine is because it feels like it isn't working. This feeling happens when we attempt to meditate when our mindset isn't ready to begin meditating in the first place. If you don't have the energy to meditate for a long time, then meditate for a short time. If you don't feel like you can find a specific point of focus, then just take a few deep breaths and check-in with how your body is feeling. Sometimes the mind will continue to race, distracting you from the process of meditation. Instead of trying to label each thought and all of the energy that entails, consider using a meditation product that can reduce this issue. Brainwave entrainment products from iAwake Technologies or Inspire3 do an excellent job of creating a distraction that the brain can focus upon. 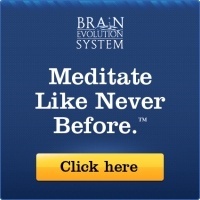 This can reduce or stop the racing thoughts, making it easier to begin meditating. A daily meditation practice may also benefit from guided meditation videos, classical music, or white noise machines. Whatever makes you become comfortable will help you to establish a daily meditation routine. Sometimes that means meditating for less time than usual because that is what your body needs to become comfortable. #6. Be willing to forgive yourself. Mistakes are going to happen when you attempt to establish a habit of meditation. Self-forgiveness must be part of the process when starting any new routine, including meditation. And there will be times when you feel like a complete failure. You can sit in meditation for 20 minutes and never really achieve a true focus. You might completely forget to meditate all day until you're exhausted and ready to collapse into bed. Sometimes the greatest successes which come when establishing a new habit is to have the courage to forgive yourself. If you miss meditating for a day, then meditate the next day instead. If you are unable to control your racing thoughts, then just do your best and see what happens. Meditation is really more than just a “habit.” It is a skill that you are developing. And, just like in everything that we train ourselves to do, we're going to mess up from time to time. A common reaction to a perceived failure when trying to meditate is anger. Here's the real truth: recognizing that you have racing thoughts is the point of meditation. Discovering your distractions is part of the process of meditation. When you think that you're making a mistake, you're actually taking another step forward in the meditation skills you're trying to develop. No one is perfect. As long as you forgive yourself for the mistakes that are made during meditation and you work to learn from those mistakes, then you'll be on the right path. #7. Try different meditation techniques. Did you know that there are many different types of meditation techniques that you can implement. Live and Dare offers an overview of the 23 most popular meditation techniques that are practiced today. If you're struggling with meditation, then it might be the technique that you are using and not the process of meditating that is being disruptive. Changing the technique being used could completely alter your meditation time. Loving kindness meditation allows you to picture someone you care about, like a spouse or a friend. Once you have a picture of them in your mind, you offer them a mental blessing for their wellbeing. Because you are actively thinking of people during this type of meditation, the brain naturally reduces the number of racing thoughts it experiences. This meditation focuses on establishing kindness﻿﻿, which naturally reduces stress. You can also send your own wishes and kindness if you prefer. #8. Remember that stress and anxiety are still going to happen. You've been meditating regularly for a couple of weeks. You're feeling good about the establishment of a daily meditation practice. Then you have a bad day. From start to finish, it feels like stress is smothering you. You begin to worry about what might happen at work. You might start to worry about your financial future. The combination of stress and anxiety might work its way into a full-blown panic attack. Meditation isn't going to completely remove stress or anxiety from your life. It offers another coping tool to handle the stress and worries that will come your way. We must treat meditation as a tool instead of a solution. This will create a reasonable set of expectations that will not encourage habit abandonment. #9. Keep up with it daily. Starting a new habit can be very exciting. After a week of adding something new to your routine, however, it begins to feel old and mundane. You begin to question whether there is any benefit to what you are doing. It’s harder and harder to keep going, so you decide to give up the new habit for a day, just to feel what it is like to go without it. Then you discover that it feels good not to be worrying about the responsibility for your new habit. It wasn’t just a good decision… it was a “great” decision. There is a funny thing about habits that everyone should know: the instant you change what you are doing, you’ve started Day #1 of a new routine. That is why it is so important to meditate on a daily basis. If you happen to miss a day, then okay. That happens to the best of us. Just do your best not to miss two days in a row. When we miss a day with an established routine, then all sorts of Red Alert alarms begin to sound in our brains. When a habit is not established, which means it has been part of life for about 21 days or less, then the brain registers more of a reward for skipping the action being added instead of growing worried about it. So if you happen to miss a day of meditation, don’t worry about the past. Focus on what is happening now and in the future. Do everything you can to meditate on that second day so you don’t miss two days in a row with your new habit. There is a greater reward that comes with meditating than the reward that is given for skipping a couple of days with a new habit. #10. Schedule your meditation time at least two weeks in advance. It becomes a lot easier to meditate when you’ve created a specific time for it every day. Without a regular schedule, it becomes a lot easier to procrastinate or give up meditation for good. This is because excuses are much easier to come by when a schedule isn’t in place. 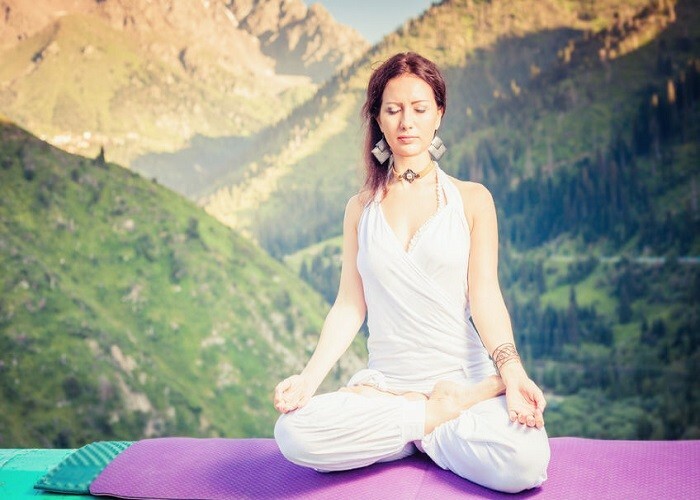 Maybe you’ve told yourself these common excuses for not meditating. In the early days of meditation, it doesn’t take much to give up on making it a daily habit. Miss a couple of days and that might be enough to let your mind think it can quit on it altogether. By creating a meaningful schedule that includes 10-20 minutes of meditation every day, you stop the excuses from forming because you’ve planned the time needed to establish your new habit. With regularly scheduled meditation times, you will even look forward to the break in your day so you can meditate. The effects of meditation are cumulative throughout the day, so if you can’t schedule in one long period of time in your daily schedule, try breaking up the time throughout the day. On a super busy day, try meditating for 5 minutes when you get up in the morning, 5 minutes at lunch, and then for another 5 minutes after dinner. Then you could add a fourth 5-minute period just before you start your bedtime routine. The bottom line here is this: if you can take 5 minutes to scroll through your Facebook profile or Twitter feed, then you have time to take for meditation. It’s all about what you see as a priority. #11. Create a space that is dedicated to meditation only. When your brain is comfortable with meditation, then you will be more likely to complete a daily session of meditation. Creating comfort can come from a commitment to create a new routine. When you create a space that is dedicated to meditation only, you are making a commitment to a new habit. When people have control over the changes that they are trying to make, then they are more likely to implement those changes on a regular basis. You can take advantage of this fact by changing an environment in your home (or anywhere that you have permission to create changes) so that it supports your efforts at meditating every day. What does a good space for meditation look like? Comfort is a little different for everyone, but you’ll want to address these three key areas. Create a comfortable place to sit, stand, or lie down. Meditation pillows are an easy way to give yourself a comfortable place to sit on the floor. Some people prefer to meditate while standing, so give yourself a place to lean if your feet or legs grow fatigued. If you prefer to lie down, consider adding a body pillow, soft blankets, or other supportive elements to your environment. Make sure that your space is permanent. Having your meditation space in the same area as the family room or your entertainment center will create distractions for you and have others potentially move your items. Meditation requires its own space with the fewest number of distractions to be successful. In the modern home, that usually means a bedroom, a closet, or perhaps a guest room. Remove anything from the environment that may distract you. If there is a TV or a computer in your meditation space, then move it immediately. Tablets, phones, and video game consoles should also be on that list. Even non-technology items, such as a sketchpad, should probably be removed if it robs you of the focus you need to begin meditation. To get the most out of your meditation time, it is important to be honest with yourself regarding your natural tendencies and habits. We all tend to take the actions that are the easiest to do in any given situation. That’s why we’ll watch TV instead of going to the gym or purchase a frozen pizza instead of cooking dinner from scratch. It is also how we tend to behave when it comes to meditation. Blocking a phone number or silencing Facebook notifications isn’t usually good enough. Your mind will begin to wonder if it is missing something, which creates a resistance to your time in meditation. That’s why creating a space that is dedicated to meditation only is often necessary. It creates an area of comfort that is free from distraction, allowing you to focus on creating the new habit. #12. Be accountable to someone. Let’s say that you are hungry right now. You’ve decided that you’re going to go out to eat. There are two restaurant options from which to choose. The first is a burger place. It smells awesome as you stand outside in front of the restaurant. Your mouth waters at the thought of a double bacon, double cheese burger with the works. Add in some fries, perhaps a milkshake, and your belly knows that it will leave satisfied. The second place is a restaurant that creates custom salads. There really aren’t that many smells coming from it. You know that eating some salad would be healthier than eating a burger and fries, but it wouldn’t be as satisfying. Now is the time to choose. Where do you grab a bite to eat? Much of this decision depends on whether you are accountable to someone regarding your eating choices. If you’re under the care of a doctor who wants you to avoid fatty foods and starchy carbohydrates, you’ll be more likely to choose the salad place. You’d also be more likely to choose the salad place if you knew that someone would confront you about eating at the burger place if you were trying to lose a little weight. Without this accountability, you’d be more likely to choose a burger even if it isn’t the best option for you at that moment. The same is true for our efforts at meditation. When a new habit is being established, whether it is eating healthier foods or creating time for daily meditation, being accountable to someone can be a prompt to follow through. Accountability can be something which is mutually beneficial as well. If you know someone else who is trying to start a meditation habit, then consider meditating together. You could send each other a daily email, instant message, or text encouraging the other person to meditate or congratulate them on another successful day. This regular communication or personal engagement creates an atmosphere of accountability because you don’t want to disappoint the other with a failure. You want to report a success. So you decide to meditate because that will allow you to prove you’ve been successful. #13. Use a sticker chart to track your progress. There are several great apps that can help you keep track of your habit-establishment progress. Just enter in the amount of time you’ve spent meditating each day and you’ll receive the positive feedback needed to encourage continued meditation. Many habit tracking apps are completely free. With ﻿﻿HabitBul﻿﻿l, which is available for iOS and Android, you can set targets, goals, and milestones for your new habits. The only problem with apps like these is that they aren’t a consistent reminder of your successes. That is why the creation of a sticker chart can be a simple, but effective, visual reminder that you are doing a great job with your meditation time. Although we live in a world that features the advantages of technology, simple visual cues in our personal spaces can be a more effective way to experience rewarding feelings that come with success. The act of placing a sticker on a tracking chart is similar to the act of inputting your daily meditation time into an app. The difference is that every time you walk by that sticker chart, you’ll be reinforcing that feeling of success. With a habit tracking app, you’d need to take the extra steps of accessing it on your mobile device or computer to look at it. It takes a conscious decision to do so. Put a sticker chart on your refrigerator and you’ll see your successes every time you grab something to eat or drink. On your chart, make sure to add “reward zones” so that when you get enough days in a row, you are given a reward. If you make it 3 consecutive days, then do something for yourself that is relaxing and enjoyable. Take an afternoon to be at the beach, a long bubble bath, or settle in next to the fireplace with a good book. If you make it 7 consecutive days, make the reward a little bigger. Go see a movie at the theater. Spend some extra time with a video game you like. Take a drive to the next town over and grab some ice cream. Then repeat until you reach a minimum of 21 days. At that point, you would earn the biggest reward because you’ve likely established a daily habit of meditation. Do something you can afford, but has a deep meaning to you. Visual cues of success that are frequent encourage the establishment of a new routine. A sticker chart might seem simplistic, but it gets the job done. #14. Have fun with it. Making meditation a daily habit can feel like a lot of work. There are days when it isn't going to feel enjoyable at all. It is still important to have fun with your time in meditation. Enjoy the time you have in the present moment. By staying in the present, there is a certain calmness and stillness that can be experienced. The past is no longer an influence. The future can hold onto its worries for a few minutes. We are all very connected to one another in the modern world. Meditation allows you to disconnect for some time, allowing you to focus on yourself and nothing else. So have fun getting to know yourself better and meditation will become a habit that sticks. You can also have fun with meditation by incorporating certain elements that are familiar and enjoyable to you within the confines of your dedicated space. There are several options available to you when it comes to making each session more fun than ceremonial. Instead of lighting a generic candle for a point of focus, consider lighting a candle that offers a favorite scent. This allows you to add an element of aromatherapy to your meditation space. If you are not allowed to light candles for some reason, consider picking up some incense sticks instead. This will give you an option to focus on a scent while meditating. It also has the potential of providing you with a calming effect as you settle in to meditate. Add favorite items to decorate your space that are meaningful, such as family pictures, soccer scarves, posters, or even beanbag chairs. As long as the items are not distracting, they can make your space more fun. Of course you don’t need to have any props present in your space to meditate if you prefer. It’s all about what will be fun for you. If a little extra personalization helps to make the experience fun, then it will be easier to create a new daily routine that involves meditating. Go within every day and find the inner strength, so that the world cannot blow your candle out. Making meditation a daily habit and being able to stick to it will not always be an easy process. There will be struggles. There will be moments when you're ready to give up. That's where these practical tips can be useful. When you choose to keep moving forward, you're going to be one step closer to making meditation part of your daily routine.